Missouri Baptist University’s Educational Specialist program gives students the opportunity to prepare for doctoral-level work while applying skills and concepts to their current position. It prepares students to meet the changing market’s growing need for curriculum and professional development specialists, along with other key administrator roles. MBU’s graduate degree for teachers, the Educational Specialist (Ed.S.) – Curriculum and Instruction, is ideal for those interested in curriculum and instruction leadership positions at the district level. This advanced online education specialist degree falls between the master and doctoral level. MBU’s online format allows you to take advantage of our rigorous program in a more convenient format. We understand school is not your only priority, so you can proceed at your own pace and on your own time. 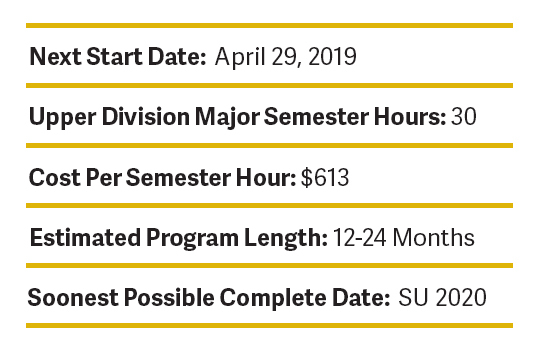 Earn a graduate degree at the ease of your schedule. Build upon current skills and begin working towards possible doctoral programs. Learn professional teaching and administrative methods from a Christ-centered perspective. For more details on this online graduate degree at Missouri Baptist University, please contact Katie Meyer at 314.704.5078 or Katie.Meyer@mobap.edu.